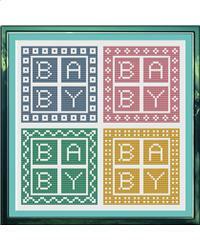 Four small and simple Assisi style designs for Baby cards, gifts and clothing. Suitable for beginners. Project Size: 4" x 4"